Oh boy was I surprised when people started sharing it and putting the hands up to take part too! Suddenly it wasn't just me, but countless makers from all around the world, jumping on board to spread the word. As of today there are 1 378 posts with the hashtag. I was thrilled to see others thought it was an important issue to discuss too. I still love the idea of hosting some kind of event for Fashion Revolution (maybe next year), but I also appreciate the incredible power of the internet. 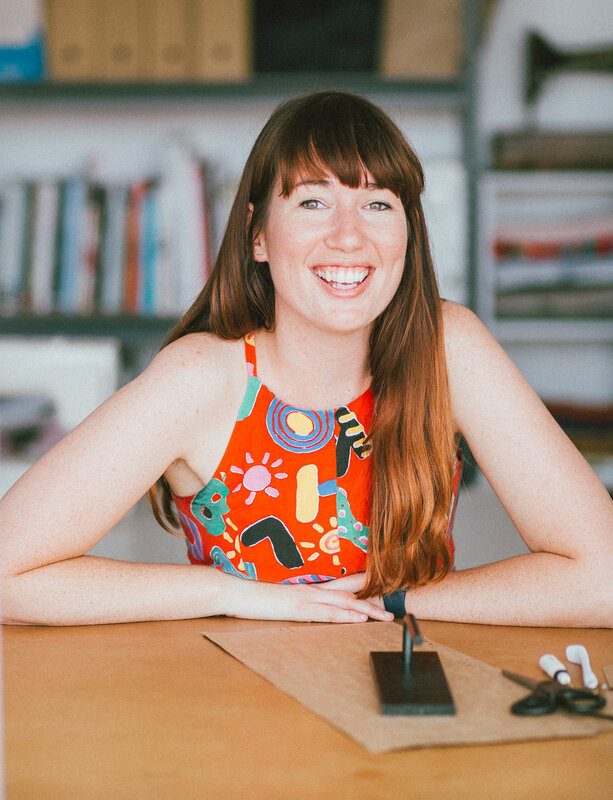 From my little studio here in Sydney I can spread the word about Fashion Revolution far further than I could by hosting a class or an event, and for now, that's exactly what I plan to do! So if you are new around these parts, or have not come across the Fashion Revolution movement, you can check out my blog post from last year to get an overview of what it's all about. In short, what it's about is asking 'Who Made My clothes?' It is about questioning working conditions, work practices and the overall impact the fashion industry has on people and planet. The reason I thought it was important for makers to get on board spreading the word about this issue is that we are the ones making our own clothes. We appreciate the time it takes to make clothing and the skill required to do so. Why should the garments handmade by us be valued, appreciated and worth more than the garments handmade in a factory in a third world country? They shouldn't be. All clothing is made by hand and this needs to be remembered and never devalued or discredited. We have the power to spread the word amongst our friends, and communities, to promote and acknowledge that clothes are valuable and use valuable resources to create them. We should love them, take care of them and nurture them. We should keep them out of landfill at all costs. We should also question the working conditions of those who make them for us. To promote this amazing movement amongst the making community online I have decided to host another photo challenge on Instagram for the week of Fashion Revolution (24-30 April). Although some of us may not buy our clothing from retailers, there is still a lot we can do to encourage change, and I would love if you help me spread the word (and maybe even encourage more people to start making their own clothes). Each day during Fashion Revolution Week, I will post a prompt on Instagram to promote thoughts, discussion and inspiration related to a particular aspect of the revolution. If you would like to play along, simply use the hashtag #makersforfashrev, as well as the official Fashion Revolution hashtags - #FashRev and #whomademyclothes - this way we will all be able to find each other. I'll choose my favourites each day and do a little round-up! You can find me on Instagram @inthefolds. If you would like to let the world know you are taking part you can post the image above on your blog, Instagram or Facebook page. The further we spread the word, the better! WHAT CAN WE DO AS MAKERS TO INFLUENCE CHANGE? Slow down! Do you really need all those clothes? Take your time to make one beautiful garment instead of five hurried makes. Spend extra time by working on beautiful finishes or decorative techniques. Use your making time to upskill rather than fill your wardrobe with more and more. Make for others when you have enough in your wardrobe. Use sustainable materials to create products. Teach others your skills. Encourage others to make their own clothes. Make plans. Don't buy things impulsively. Take the time to think about it and work out if you actually need it. Go to clothing and fabric swaps. Ask your suppliers and manufacturers about their labour practices. If you have your business, consider manufacturing locally. Be disruptive and embrace change. Posted on April 21, 2017 by Emily Hundt and filed under talking about and tagged talking about fashion revolution. As it's the very beginning of a new year (okay, okay, three weeks in... where did the time go? ), I have been thinking a lot about planning and setting goals for 2016 - as I am sure many of you have been doing too. I think it's only natural to see the end of one year and the looming of another as a time to reflect and make some changes - in the hope of being happier, healthier, more productive etc. in the new year. But what I have finally accepted is that these changes will not happen over night and all big changes are about commitment, dedication and making these changes into a habit or ritual. A little back story. If you saw me on December 22nd last year, you would have seen a pretty haggard excuse for a person. I was most probably hunched over my sewing machine or computer (or maybe even both by that stage ... There was a moment when I'd become so overwhelmed by my to-do list that I had my sewing machine set up in front of my computer, and would jump between the two) and had given up on wearing make-up or anything apart from jersey sacks, or even washing my hair. Not good. Obviously. On this particular day I spoke to a friend about how exhausted I was, how little time I had to do anything for myself (including exercise, grocery shopping, seeing friends or even washing said hair) and how burned out I was feeling. I loved my little business, but it was literally taking over my life. Yet I was persistent that I was just going to work through the holiday period, convincing myself (and no one else) that I would feel better in the new year if I just kept soldiering on and knocking things of my ever growing to-do list. After I said it out loud, I realised how stupid it sounded. Did I think some magical New Years Fairy was going to come and sprinkle fairy dust on my head and I was going to wake up, somehow recovered from one of the biggest, scariest, craziest, most challenging years of my life, and be ready to do it all over again? So after a much needed break, I was finally in a fit enough state to start looking forward again. Just in time for New Years eve! I always have new years resolutions, although for the life of me, I cannot remember one I have ever set, and therefore no idea if I have ever accomplished one of my goals. I guess I just thought everyone had flakey goals and setting them was more about having something to talk about over the new year period - and then forgetting them by the end of January. I must admit, this year was no different. I set some really flakey goals. Sitting on the beach with an esky full of picnic food and drinks, a friend asked me what my resolutions were for 2016. I answered, 'To have a happier and healthier year than 2015." When I asked him what his resolution was, he told me he wanted to do an Iron Man. Bang. The moment when I realised how tangible his goal was compared to mine. At the end of 2016 he will know whether or not he has achieved his goal, with a straightforward yes or no. Me? Even if I remembered my Flaky Goal, how would I measure it? Do a happiness pie chart? A health graph? I don't think so. This is the moment I remembered what I had learned on the small business short course I did in 2015 and it was time to actually use it. Although the S.M.A.R.T method does really help when creating the right goals (I now have a list of goals for 2016 that I will be able to reflect on at the end of the year - and they are written down this time so that I don't forget them!) I do find big goals to be very daunting. Particularly when it is really difficult to predict what will happen in the future - which is definitely the case when you have your own business. This is when breaking down a goal into smaller pieces makes the world of difference. When I say I want to release a pattern by x date, I instantly get butterflies in my stomach, thinking about the sheer amount of work that needs to be put in to create a pattern. Suddenly the goal no longer feels achievable and I begin to stress, rather than just getting started. By simply breaking the goal down into steps, I have realised that the Big Scary Goal becomes much more tangible, and also allows me to work out where to start. For example, for this goal of releasing a pattern, what is involved? First, I need to come up with the design, make the initial pattern, make a sample and fit the pattern on a fit model. I then need to continue sampling and fitting until I am happy with the pattern. Once that is done I need to scan the paper pattern into the computer and digitise it using Illustrator. When I have done that, I next need to grade the pattern to my size range, take photographs for the instructions, write the instructions and test the pattern. I need to consolidate the testing feedback, create the listing and then finally release the pattern. Although there is a lot to do, suddenly it doesn't seem so daunting. With this list, I have a much better chance of scheduling the right amount of time for the project and setting an achievable deadline, and knowing exactly where I need to start. It also allows me to plan things in advance. I should be fitting by 'Week X', do I have a fit model organised? I should be ready to take photographs of the process by 'Week Y', do I have fabric on hand, or will I need to purchase something? Having things pencilled in, means I can avoid stressful last minute runs to the shops, and wasting days not knowing what to work on. I really like the Goal Pyramid by Matthew Michaelwicz, which provides a simple, yet very visual way of breaking down goals into smaller milestones. By having smaller goals, that lead to a larger goal, there are many more chances to sit back and reflect. Am I on track? What do I need to do this week, or even just today, to achieve this goal? As well as a chance for little celebrations along the way. I don't want to have to wait until the end of the year to give myself a pat on the back for all the hard work I have done - and this means stepping back and celebrating the small achievements that will contribute to the success in the big goal. My celebrations aren't anything extravagant, but they are a time in which I allow myself a chance to say 'Well done! Go you!' A moment to sit back and feel very proud of what I have achieved. For example, a couple of weeks ago, I sold my fiftieth Rushcutter dress, and to celebrate I danced on my bed (the 50th pattern was sold while I was asleep). It is a lonely business, having a small business, so instead of seeking a high-five or a pat on the back from others, I have really had to learn to celebrate my own achievements in my own little ways. As I mentioned, this time of year is a very obvious time to be having thoughts about goal setting and planning, which means I have been running into great pieces of advice, suggestions and blogs everywhere I turn. While somewhere in BlogLand, I came across a link to this article about millionaire's not using to-do lists, and it really encouraged a light bulb moment for me. I have not been able to function for the last six months without my to-do list, but then, when it gets to the end of the day and I have once again not managed to get everything crossed off the list, I feel like crap. Like really crap. What I had been overlooking is that a to-do list has no concept of time or priority. Basically, I just write down everything I can think of in the order I think of them, and then work my way through (normally leaving the most painful and time consuming tasks till last) until it is time to leave work (or was time to leave work three hours ago). This advice, to schedule things in a planner is very obvious, but has already really changed the way I work through the day, and the way I feel at the end of it. By scheduling tasks into a planner that is broken up into the hours of the day, I suddenly need to be realisitic about the time a task will take, and therefore don't end up with a list of things that could never be completed in a single day. I still have my to-do list (as it's a really great way to get everything out of my head to make room for others - as apparently we can only hold 4 things in our head at any one time!) but once I have written my list, it doesn't stop there. I take the list and work through it - scheduling in each task and allowing a realistic amount of time to complete it. If, for some reason, something doesn't get done on a particular day, I reschedule it. Allowing nothing to be left behind - and preventing those moments when I wake up in the middle of the night, realising I have forgotten to do something. This is a great episode of the Note to Self podcast, about the science behind getting organised, if you would like to hear more. I am currently trying out the Passion Planner, and so far it seems to be doing the trick. I love that it has a section for 'Today's Focus' as well as a 'Weekly Focus,' which is a constant reminder that I need to accomplish the small milestones in the hope of one day achieving the Big Scary Goal. A great reminder to just keep putting one foot in front of the other, and to night get caught up in the end game. I find setting goals as a great way to give me the motivation and focus I need to get through the day-to-day grind of running a business. But this year, particularly after reading this article from Seamwork Magazine, and then binge reading Sarah Starr's amazing blog. I have been thinking a lot more about the importance of rituals and how I can bring some new rituals into my routine. I am not talking about massive changes, just small things that will add to the overall experience. One of the first things I thought about was how much time I have been spending on my phone, and how unhappy that makes me. Particularly in the evenings, I want to get better at putting my phone down and focusing on something outside of my work (as my phone is becoming more and more associated with work as this journey goes on - when an email comes through I think I have to deal with it then and there, whether I'm still in my towel after taking a shower, or already in bed), which has lead me to going to the library to borrow books and reading before I go to bed, instead of scrolling endlessly through my Instagram feed. I find this much more relaxing, as the online space tends to stimulate me much more than a book, and I end up flooding my brain with more and more ideas, instead of focusing on winding down. Although not as enjoyable, I have created a ritual out of grocery shopping. 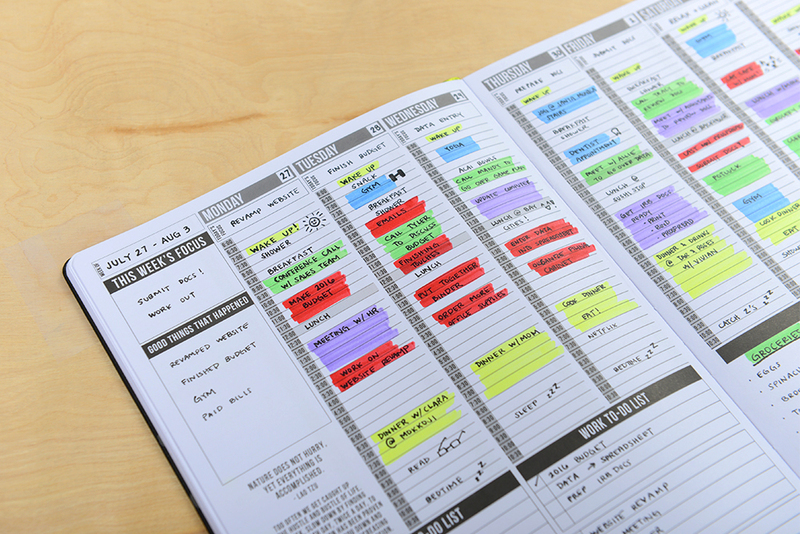 By scheduling it in my planner at the same time each week, I no longer see it as a chore, or something that can be sacrificed if I am too busy. It needs to be done as it is important that I have access to quality food at home, so that when I'm tired or busy I don't end up skipping a meal or eating junk. One final ritual that has become a highlight of my week, is my accountability meeting. When I first agreed to meet with two of the women I met on my short small business course, it just seemed like an interesting thing to try out. The shock of going from working amongst other people to working on my own day in and day out, had not yet hit, so the need for human interaction was not there. A month or so in, I realised how important it was for me to meet with these women each week. It gave me a chance to get out of the studio, see people and also truly connect to women who were on a very similar journey to me, feeling accountable to someone apart from myself. I am so early on in this journey, but still looking back, I can see how naive I was to what it would really be like. I hadn't realised how much a journey like this is also a journey into who you are as a person, what you really want and the kind of life you are trying to create (but I will save all that for another day), and that it really helps to have understanding and supportive people around you - who you can share your doubts, fears and little victories with. Someone who knows you and your business is only a phone call away, and there is something in that which is very reassuring. And with the deadline of a meeting, there is a sense of needing to get things done on time. My meetings are very relaxed, which has been great, but I have been doing a little research this week on how we could go about creating a structure for our meetings (after half an hour free time to catch up, of course) so that is something I will continue thinking about this year. As I think I have now made clear, I am no expert on this topic. It is just something I have been thinking a lot about, and reading a lot about, in the hopes that I will find a process that works for me - allowing me to get more done, with less stress. Posted on January 22, 2016 by Emily Hundt and filed under talking about, behind the scenes and tagged planning goals organisation talking about reflection behind the scenes. I think these will become great go-to quotes if I am ever in doubt! Posted on January 7, 2016 by Emily Hundt and filed under talking about... and tagged transparency talking about behind the scenes.